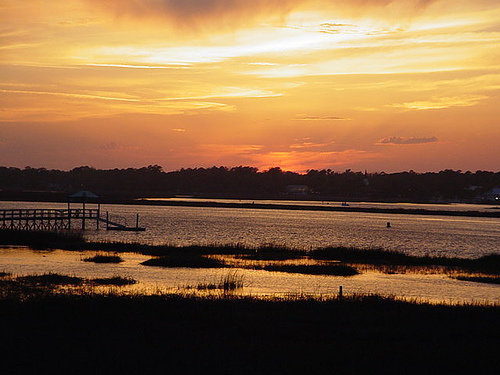 Next time you’re planning a girlfriend getaway, head to Jacksonville, northern Florida’s underrated (and largely undiscovered) gem. 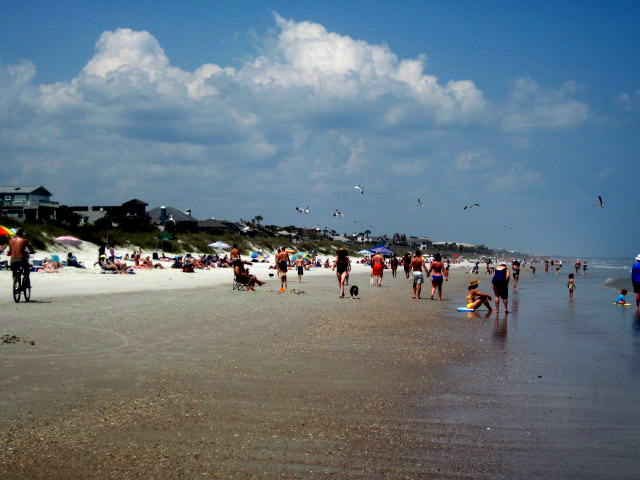 Whether you’re a foodie, an art-lover, a shopaholic, or you just want to beach-bum for a weekend, Jacksonville has a lot to offer. With its emerging art and cuisine scene, Jacksonville is busting out of its “deep south” stereotype and striking a distinct chord for itself as Florida’s hottest city (and we don’t mean hot as in weather). Don’t let Jacksonville’s 848 square miles overwhelm you. Sure, it’s huge, but that just means there’s even more to do and see. As America’s largest city, it might be tough to know where to start exploring. So we went down and scoped it out for you. 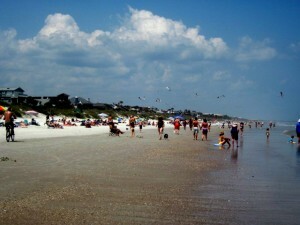 Try this list of things to do in Jacksonville to give your Florida vacation planning a head start. You’ll be far from bored. Promise. Jacksonville Farmers Market, Florida’s oldest farmers market, sits outdoors under a handful of wide steel rooftops. In this sheltered space, there’s room for over 200 vendors to sell their produce directly to customers (many of which include local chefs who buy ingredients for their menus daily, at wholesale prices). 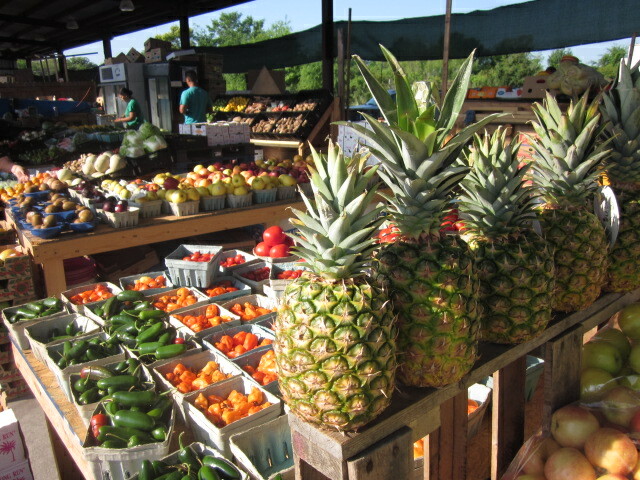 Produce varies seasonally and includes fresh vegetables, fruit, fried peanuts, spices, and crafts. The market opens before sunrise and stays open until sunset, 365 days a year. It’s the largest produce market in Northern Florida. Hot hint: Plan a trip down in early May for the debut of Andy’s Farmers Market Grill on May 3 at 6 AM. The grill will be open Monday through Friday from 6:30 a.m. to 3:30 p.m., and 7 a.m. to 4 p.m. on Saturday, serving breakfast, lunch, snacks and beverages. Grab a waffle or sandwich from its to-go window and eat while you shop, or relax over a sit-down meal at its outdoor table seating. If shopping is on your to-do list, steer clear of the strip malls lining Jacksonville’s beaches and head straight to the Shoppes of Avondale. Browse through shoe and dress boutiques on St. John’s Avenue in Avondale and grab a bite to eat at one of the outdoor cafes or bistros afterward. After you eat, check out the smaller local art galleries featuring an eclectic mix of local photography, sculpture and painting. Hot hint: check out ‘town 3611 and if you’re a tomato juice lover, be sure to taste their bottomless bloody mary. 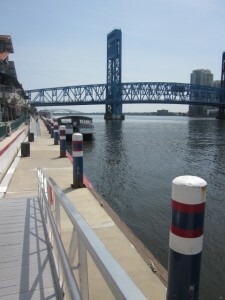 The St. John’s River divides downtown Jacksonville into north and south banks. You walk cross over by the skyway. Or, for $5, spring for a river taxi (a privately owned ferry company) for water views of Jacksonville’s downtown bridges. A trolley and bus system can take you around downtown but the area is walkable. 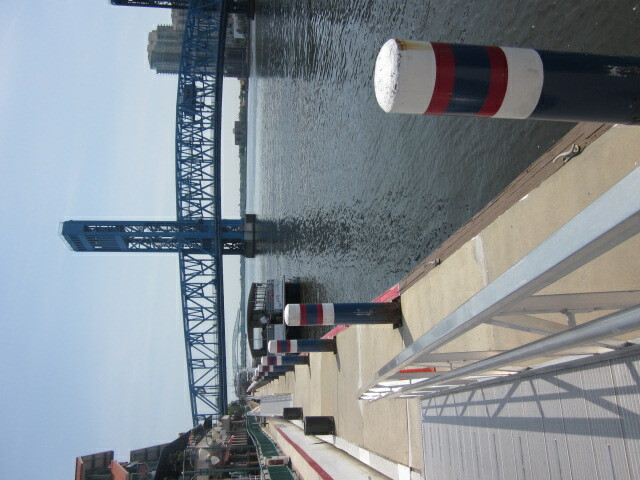 Visit the Jacksonville Landing for an outdoor concert (the landing hosts over 300 events each year) and eat riverside at the surrounding restaurants. If you’re looking for country/rock dance spot, check out Mavericks Rock N’ Honky Tonk, a 21,000-square-foot concert hall and dance venue where you can get in touch with your two-step skills on the Dixie-sized dance floor. Hot hint: For a tasty afternoon treat, head just four blocks from Jacksonville Landing to Cafe Nola in the Museum of Contemporary Art. On its evolving menu, Chef Kathy Collins crafts gourmet dishes from locally sourced flavors (some of which come from her own garden). No doubt touring Jacksonville’s art galleries will whet your appetite for art. So if you have artistic inclinations yourself (yes, this includes you finger painters and water color lovers) visit the Yes You Canvas studio for your own painting session. For $35, you’ll leave with your own painting that you create, under the helpful eye of David Durrett. Choose from a series of paintings and learn the basics as you follow David through the painting. Resister online for a class with a handful of girlfriends–it’s a nice change from the nightlife scene and you’ll fly home with your own handmade Jacksonville souvenir to hang in your apartment. Open Monday-Saturday nights. Hot hint: You don’t have to be an artist to take a class. David focuses on each individual’s ability, and his formulaic instructions make the art crafting process simple, easy and fun. Riverside Arts Market: Every Saturday since its opening in 2009, vendors sell fresh baked breads, paintings, fresh local produce, sculptures, honey, pottery, great food from local restaurants, wood carvings, herbs, live entertainment, cut flowers, jewelry, plants, cheeses, woven baskets, and more. Hours: 10:00am until 4:00pm. Hot hint: Artists and vendors rotate every week, so it’s never the same market twice. SaltWater Cowgirl Surf Camps: If you have a few younger girls in the group who want to surf, send them to SaltWater Cowgirls. The company offers a weekday camp to students between the ages of 7 and 17. Classes run Monday through Thursday, from 9:30am to 12:30 pm. 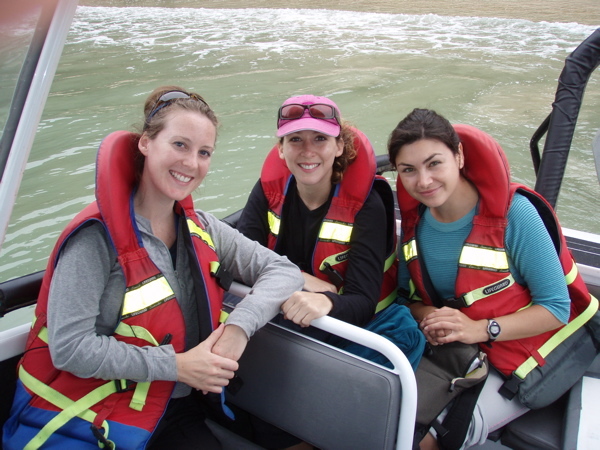 Instructors teach students on land before entering the water, and safety is the highest priority. Instructors emphasize board control and self-awareness to fully prepare the students for their experience in the ocean. Beginner students will learn how to carry a surfboard, body positioning while on the board, paddling, how to catch a wave, and ultimately standing and riding. For the more advanced student we offer an environment to help you sharpen your skills with knowledge of wave selection, positioning in the water, maneuvers, and surfboard maintenance.